Range in Japan Kagoshima Pref. (Ikedako Lake), Okinawa, Ogasawara, etc. 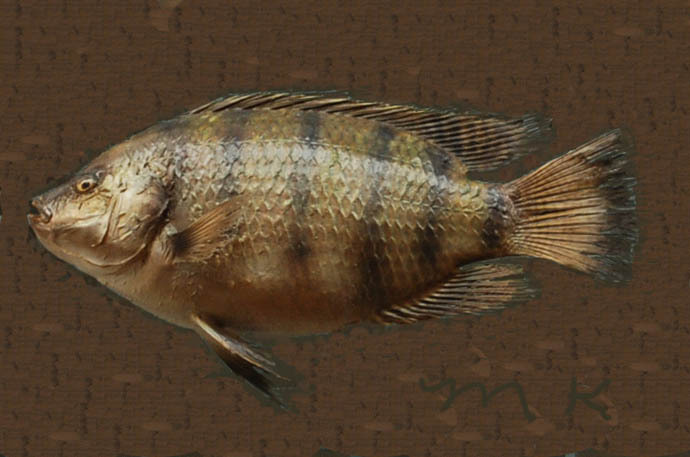 Impact Potentially: Competition with native fishes. Regulation in Japan Release of this species in Aichi Pref. is controled by a prefectural ordinance. Introduced range in other countries Hong Kong, South Korea, Taiwan, Laos, Malaysia, Myanmar, Philippines, Singapore, Thailand, Viet Nam, Bangladesh, Pakistan, Sri Lanka, Tunisia, Burundi, Kenya, Uganda, Rwanda, Madagascar, Tanzania, Cote d’Ivoire, Cameroon, Congo, Botswana, Zambia, Zimbabwe, Mexico, Cayman Is., Costa Rica, Cuba, Dominican Republic, El Salvador, Guatemala, Honduras, Nicaragua, Panama, Puerto Rico, Bolivia, Brazil, Colombia, Ecuador, Peru, Galapagos Is., Fiji, Mauritius, Reunion, etc. Taiwan and Thailand populations were introduced from Japan.